When we planned this trip to Yogyakarta, we were surprised at how little guidance there was on art-related places to see and things to do. Yogyakarta (affectionately known as “Jogja”) is after all, known very well as an artistic and cultural centre in Indonesia. We’ve therefore put together a little art-centric piece on things you might want to take note of, if you’re travelling to Jogja for a few days. Silkair and Air Asia do very decent and affordable 2 hr flights from Singapore. Be sure you get dropped off at the correct terminal for your return flight, as the domestic and international terminals are 200m apart. The path is unsheltered, uneven and not something you’d want to navigate with heavy luggage (trust us, we’ve walked it so you don’t have to). We’d highly suggest hiring a car for getting around, especially if you don’t have a whole bunch of time to explore. They aren’t hugely expensive – 6 to 8 hours of a car and driver booked through the Phoenix Hotel cost us in the region of S$65-85 a day. Shared amongst the 3 of us, it was really quite affordable. Public transport does run, but taxis are hard to flag down off the street, unless you’re in super –touristy zones like Malioboro Street. What this means is that you could probably get to a location from your hotel in a taxi, but will likely not be able to find your way back. Also, unless you speak Bahasa Indonesia or Malay, it’s hard to instruct cab drivers to wait for you. It’s really worth paying for phone data roaming services as drivers won’t have GPS and don’t always know how to get to places. (We can’t recall the number of times Google Maps came to our rescue). It’s possible to get around with just English, but if possible, travel with a Bahasa Indonesia or Malay speaker. People are generally warm and friendly, but being able to converse in the language adds a really special dimension to the trip, and allows you to make random friends or stumble upon little nuggets of information, especially in local restaurants and galleries. 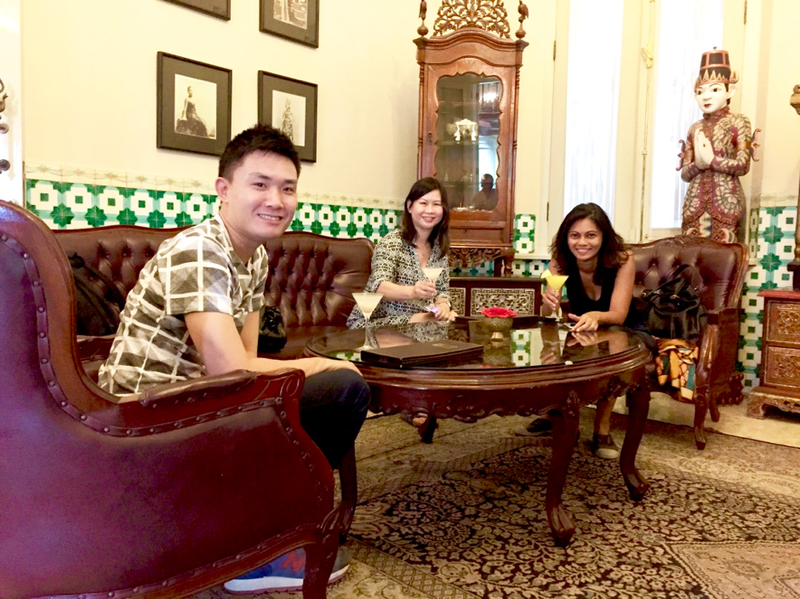 We were at the Phoenix (say “po-nix” not “fee-nix”) which is often marketed as Jogja’s equivalent of Singapore’s Raffles Hotel . It’s not- and don’t expect it to be. But that doesn’t mean it isn’t perfectly charming, with excellent food and drink. While in Jogja, we were shown this amazing place, the Green Host. We’re told the bar is nice, but that the rooms may be a little poky. We’re looking forward to trying it out next time. If you get there before us, tell us what you think! 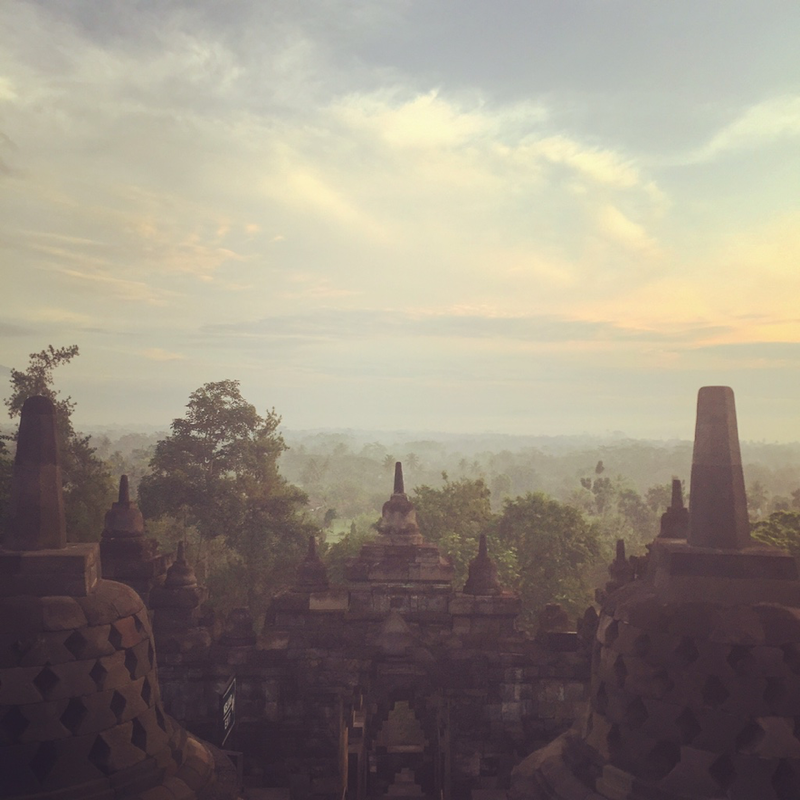 To visit Prambanan and Borobudur, we stayed at the Manohara on account of its awesome sunrise tour to Borobudur. It’s a great, affordable alternative to the Amanjiwo. You stay right on the park grounds, which makes for easy rolling out of bed at 4am to greet the sun (it’s worth it, trust us). 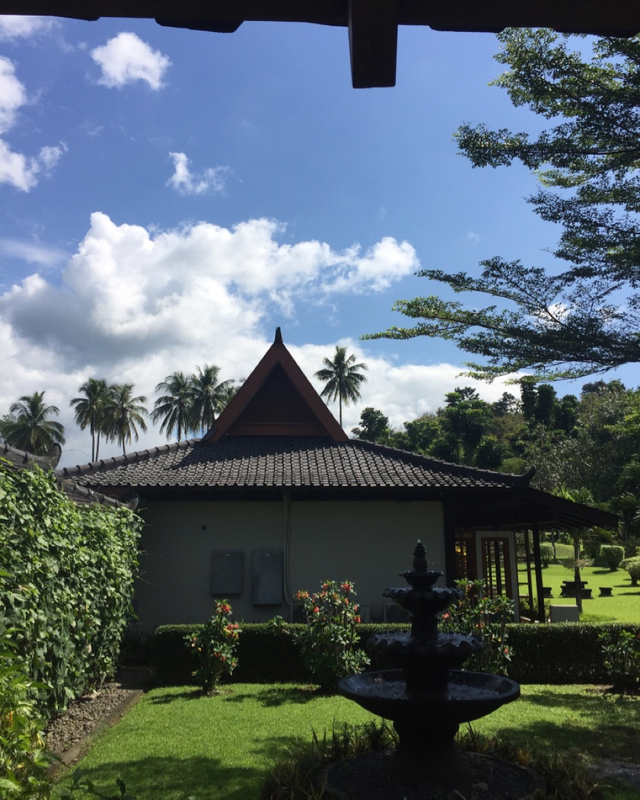 Don’t expect major luxury, but the rooms are clean, very decently furnished and come complete with a 1000 year -old temple and giant Buddha in the backyard. What we didn’t realise however, was that Prambanan was all the way across town; near the airport and a 90min drive from the Manohara. 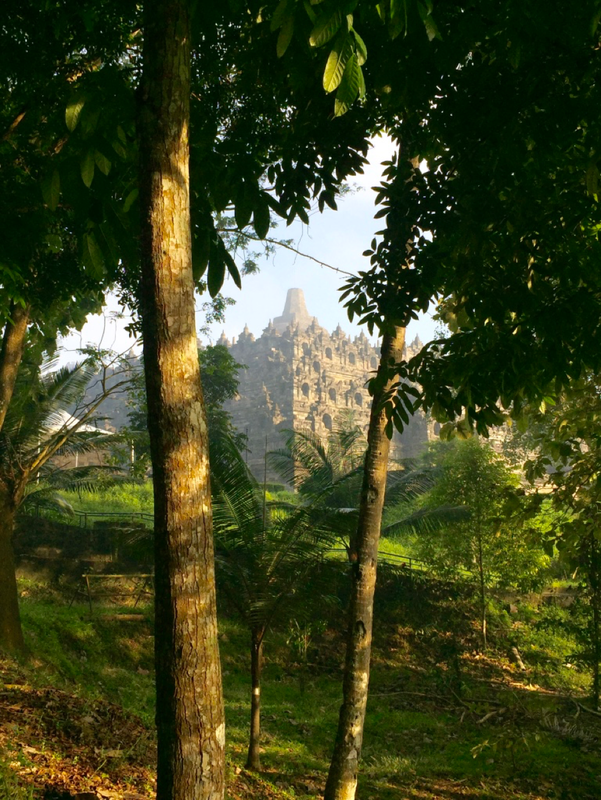 Our takeaway: Base yourself in Jogja city proper when planning that Prambanan trip. 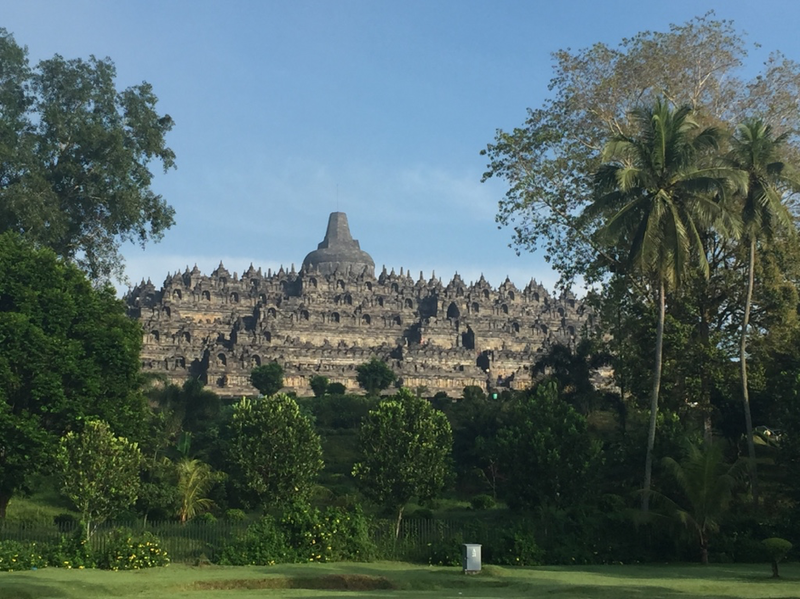 We would certainly not recommend covering both Prambanan and Borobudur while based at a place close to Borobudur (like the Manohara), unless you really don’t mind a 3hr car ride there and back (4 hrs 30 mins if you count the airport transfer that we did on the very same day). Hotels are generally fine to accept cards, but most of the places we hung out at for food, dealt more easily in cash. Buying books, catalogues or merchandise from art galleries is also more easily done with cash. What to do in Jogja? Hands down Borobudur and Prambanan . Don’t dismiss them as another bunch of dull Asian temples, as they’re truly magical places. The Manohara worked well for us for Borobudur, although (as mentioned) less so for Prambanan, given the distance. Sunrise at Borobudur- This made us feel like we were walking in a real-life mooi indie painting, and like our art history classes had come to life. 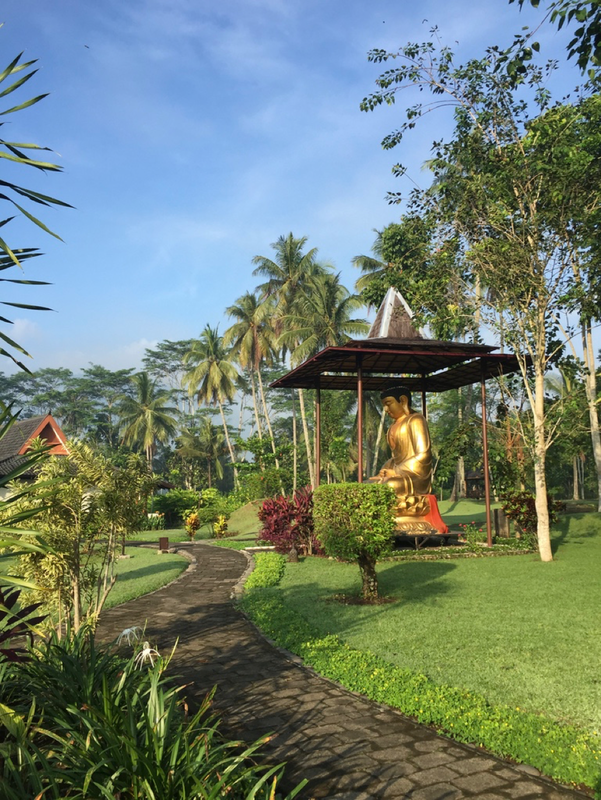 At Borobudur, our Manohara – appointed guide Jamal, was excellent and we’d highly recommend him, whether you book him through the hotel or not (e-mail us or leave a comment if you’d like his direct contact details). Our guide for Prambanan (booked on the spot at the temple complex itself) was less good, but it seemed to be down to luck, the kind of guide one would be assigned. You may also want to consider booking a private tour through Viator (which has some promising looking programmes). At Prambanan, don’t miss the Ramayana Ballet. It’s a Javanese dance, not a ballet at all, but it’s well worth the price of a ticket. Email them in advance to book the seats (you can pay at the box office before the show), and go VIP. The show is 2 and a half hours long and the VIP ticket entitles you to an exponentially more comfortable seat, plus access to a private toilet. 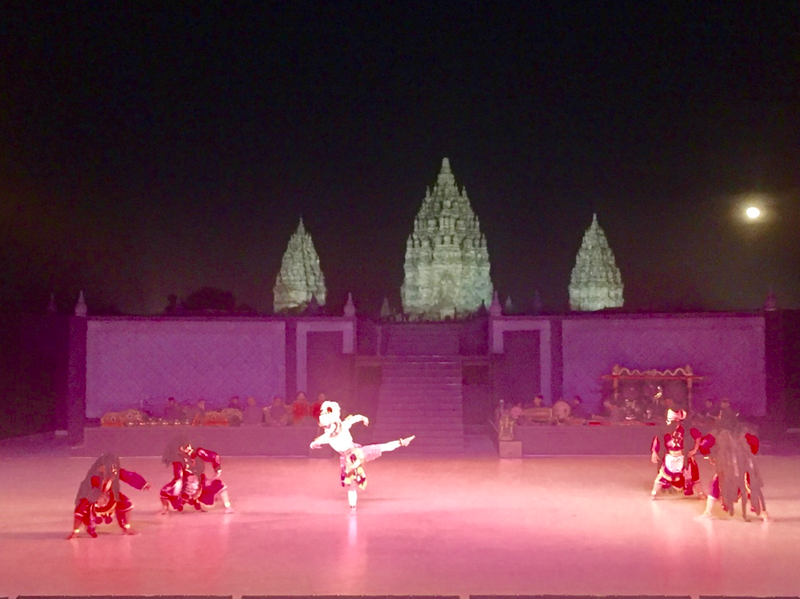 Hanuman in the Ramayana Ballet, kickin’ it old school with the Prambanan towers looming in the background. Hire a car and driver for the trip. If you attend the ballet, and you don’t have a ride back to the hotel, it’s near impossible to find a cab after the show. The ballet is actually about 1km away from the main temple complex. So be prepared for a long walk if you do what we did. The main park closes at 5pm. This means that when you’re done with viewing the temples, you then need to walk for an additional 1km round the temple complex (and over a little river!) in order to reach the ballet site (signage is very poor, you’ll likely need to ask for directions along the way). At the ballet site, you can then pay for your tickets and have a meal before the show. As you can see from the above, there is ample time from the park’s closure (5pm) to the start of the ballet (7.30pm) to hike over to the ballet stage, collect your tickets and sit down for a meal. Don’t panic (as we did!) when the park empties out and it gets dark. There’s no need to leave the wider park grounds, just ask for directions to the ballet and walk on over. You’ll also need to tell your driver to pick you up from the ballet carpark, which is quite far away from the main Prambanan drop-off. We got help from a waiter at the ballet’s restaurant to speak to our driver, and tell him where to meet us. Seriously, who would choose broccoli over this? So I’m here for the art – why do I care about temples? We found that quite a bit of Javanese art is influenced by local legends and religious folklore – so understanding the source of the artists’ inspiration definitely adds another level of meaning when you’re looking at a work. Consider Basuki Abdullah’s Djataju Fights Ravana for Princess Sita (1940 -1960). The legend of Djataju is premised on the Ramayana (depicted in the relief carvings in Prambanan, and re-enacted at the ballet). 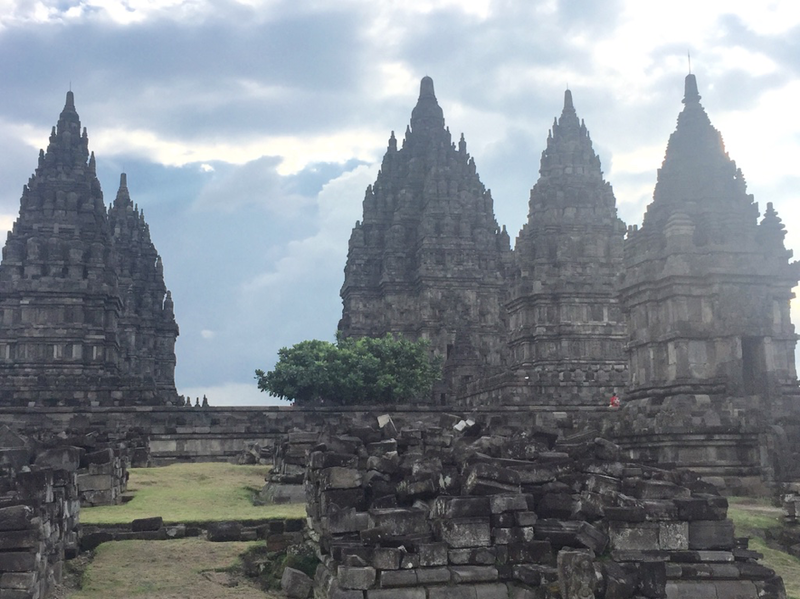 It’s worth reading up on the Ramayana story before a visit to Prambanan- in a nutshell, Djataju is Prince Rama’s heroic bird- friend, who tries to rescue Rama’s kidnapped wife Princess Sita, from a demon-king named Ravana. Basuki was a great favourite of Indonesia’s President Sukarno and was famous for his dramatic paintings of powerful mythological scenes. Art historian John Clark argues that Sukarno’s commissioning and purchase of these works allowed him to imagine himself as an empowering mythical figure in the pieces; and that particularly, Djataju is an allegory for male power, being a “modern Indonesian depiction of the male fantasy of sexual conquest.” The art also served a purpose in rousing nationalistic feelings amongst citizens (through its association with hallowed Indonesian traditions of the past); thereby supporting legitimacy for Sukarno’s own rule at the time. Basuki Abdullah’s Djataju fights Ravana for Princess Sita –Can’t get more butch and manly than this! Well that’s a bit of a downer. A still from the video – quite self explanatory, yes? A great interview with the artist and brief discussion on the work can be found here, if you’re interested. So you see, history and myth have fair bit to do with art after all. 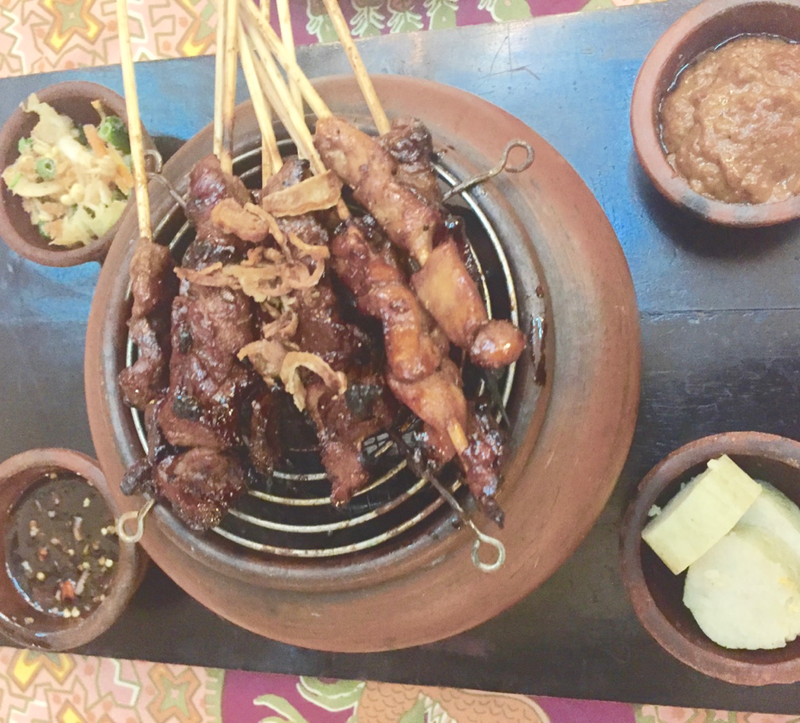 Next up in Part II of the Jogja Joget Travelog: Restaurants and art spaces we visited in Jogja. This is rather intriguing. The hindu/buddhist influence on Java got snuffed out politically around the 1400s but in the arts (music, drama and caligraphy) it lives on! Evident from the references made in the ballet. Yes indeed. And it is interesting to explore how religious influences have a persistent streak which extends beyond the political into the artistic and the cultural. This is probably aided by the way in which religious influences do not necessarily recognise national boundaries – one can never fully remove them when the religion/s might be flourishing in a neighbouring country. In that way, perhaps we could think about Southeast Asia as a region instead of a collection of empires and countries. Agree. Religious beliefs permeates across time and space clearly evident in present times not limited to political entities. For us the really intriguing point is how the arts and culture continue on the continum of maintaining hindu/buddhist elements in some centrality eventhough the islamic arts had a similar renaissance in the 1600s. 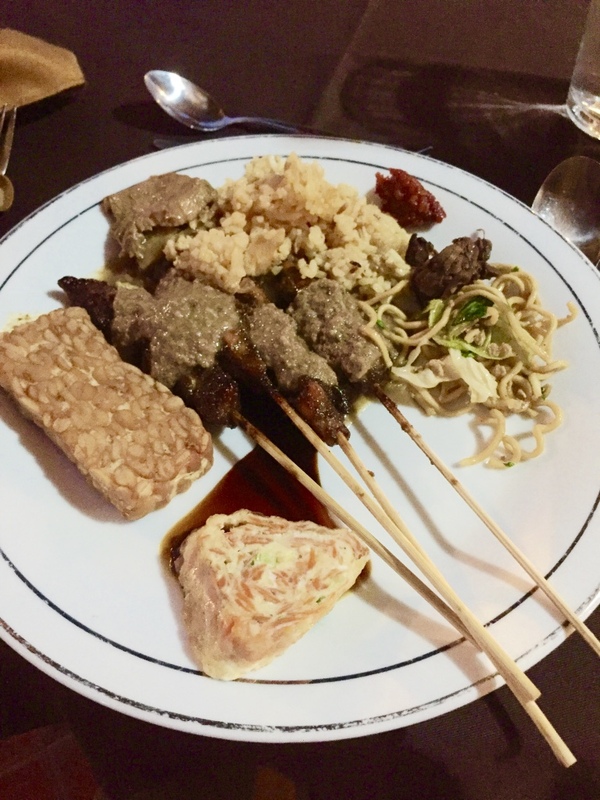 Perhaps we have not researched enough and that in other aspects of Javanese culture there are stronger influences from the newer religion.